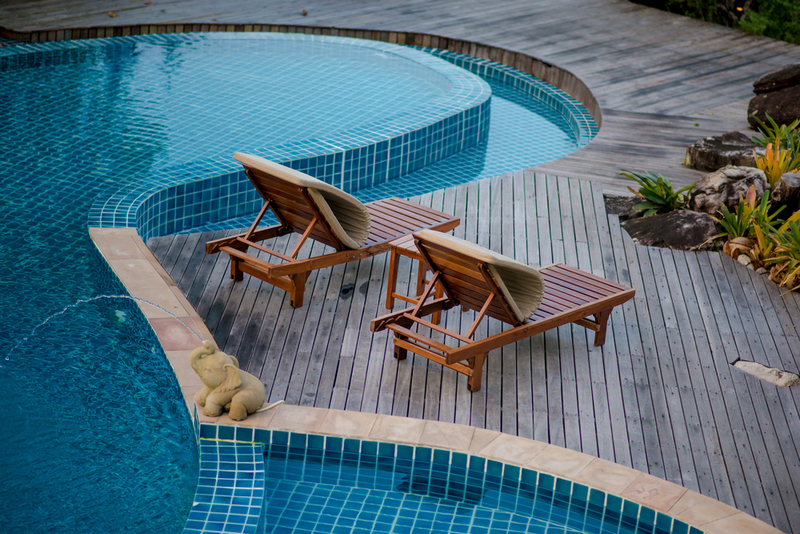 Just any old pool isn’t going to be enough for you when you’ve had a chance to check out some of the modern pools that are out there and available for you. These pools are more than just a standard square or circular pool that will let you swim around and have some fun. These are designs that are really going to show you what’s available. 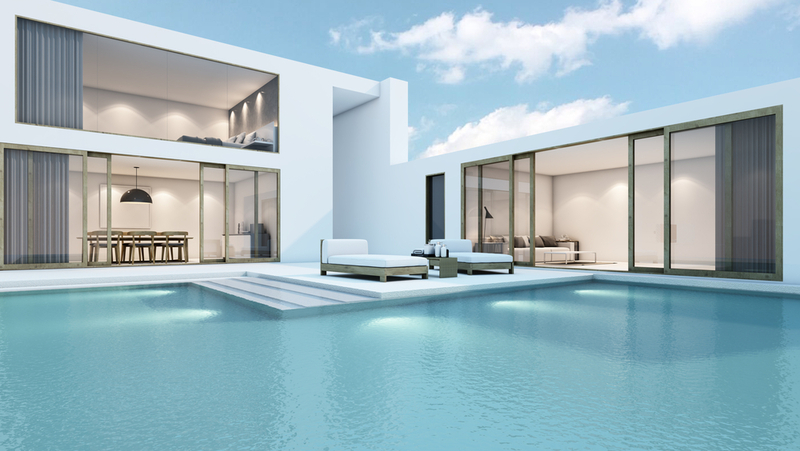 So just how much does a ‘modern’ pool cost? It’s not really as easy as that to tell you the costs involved. Instead, you’re going to need to consider the specifics of the pool you’re looking at. 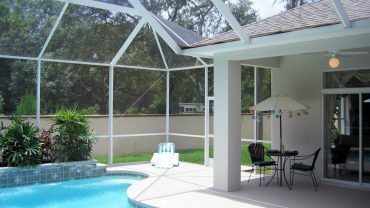 A standard pool can cost anywhere from a few hundred dollars to several thousands of dollars. For an indoor pool you’re looking at more, and for a number of more modern style pools you probably are as well. 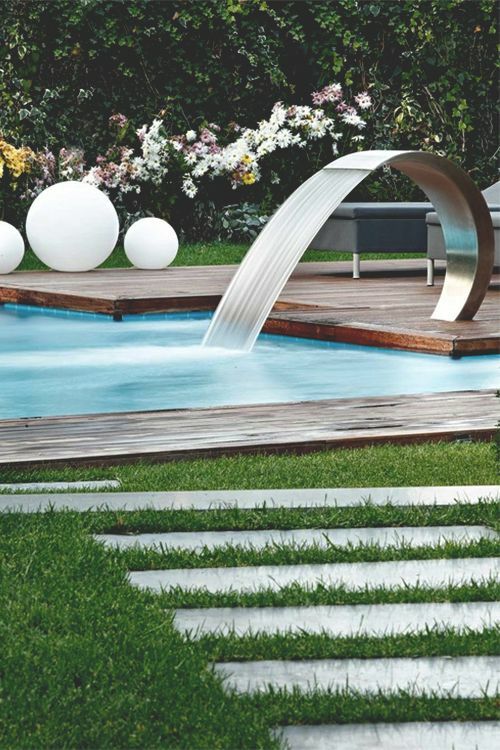 You’re going to need to talk with a professional to get a better idea of what this type of pool will cost, but it’s also going to take a little more understanding of exactly what you’re looking for. After all, if you don’t know what exactly is going to make your pool modern, you’re going to have a hard time understanding the costs. 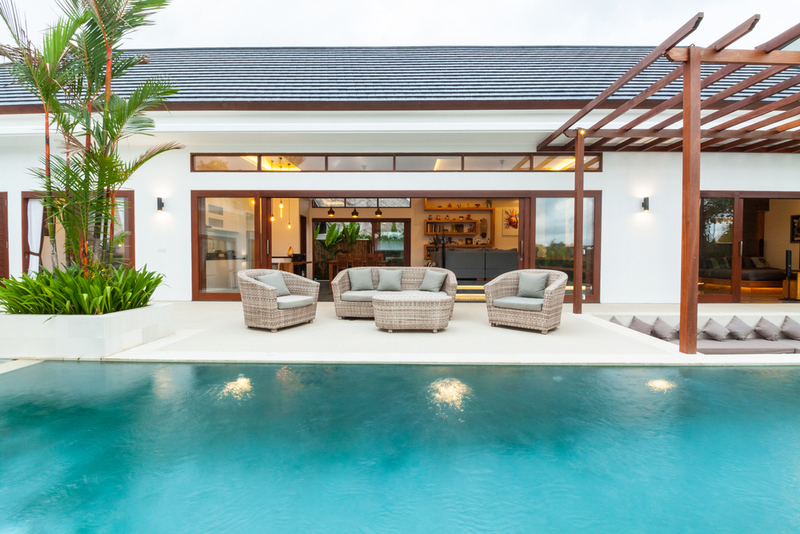 The first thing to think about is what really makes modern pools just that, modern. Just having a new pool doesn’t really make it ‘modern’ per se. Instead, you want something that has great features that an older style pool definitely isn’t going to have. Contemporary elements definitely help to create a modern feel. The clean, sharp lines and the brilliant white that generally characterize contemporary designs are going to help you get a look that screams modern to everyone who sees it. Abstract designs are also considered quite modern and fresh. If you want something that really shows off your style then you may want to look at the funky shapes and bright colors that goes along with an abstract look. A spa style pool can also be quite modern because it combines a whole lot of different elements and gives you a luxury feel as well. This type of pool may have rocks or shrubbery or even a waterfall element to give it a relaxing look. 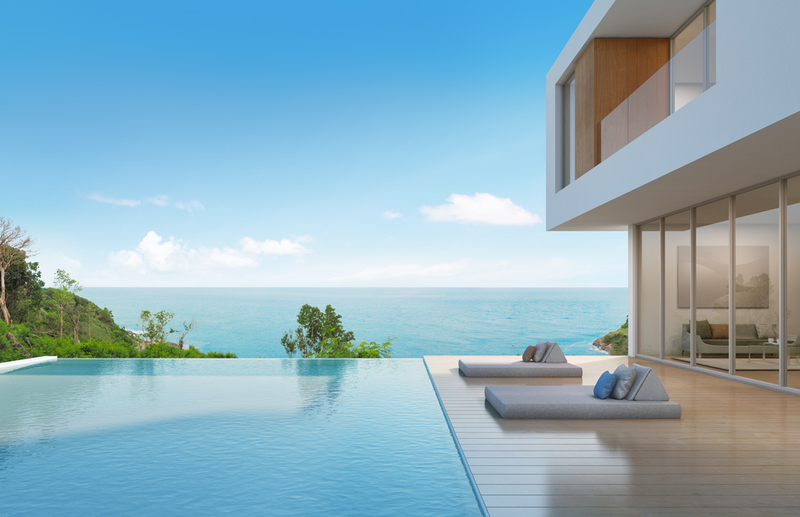 Finally, an infinity edge pool is a super modern look that really draws people in. The pool looks like it’s going to sweep you right off, over the edge and into the horizon and that is something that will make you want to head out over and over again. 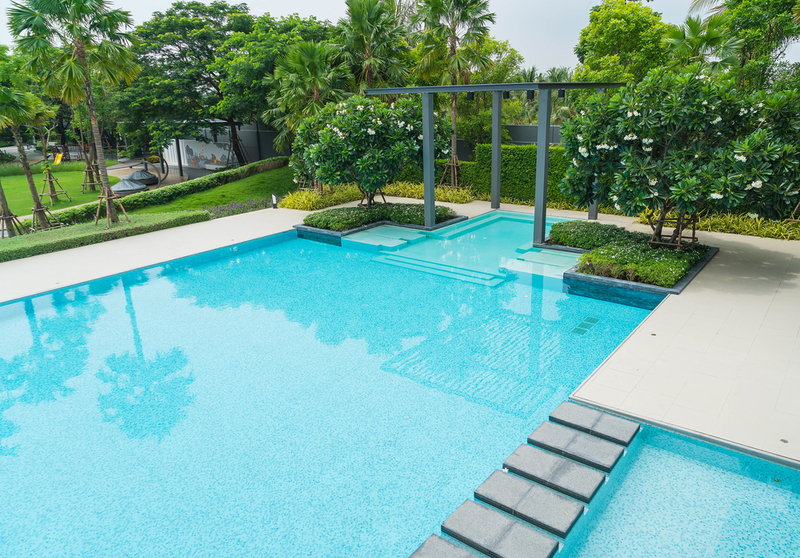 Here you’ll find a range of different modern pools that will really help you have a great experience and will ensure you’re going to be the talk of the town (or at least your family and friends list). These pools have some great features and they definitely won’t let you down. 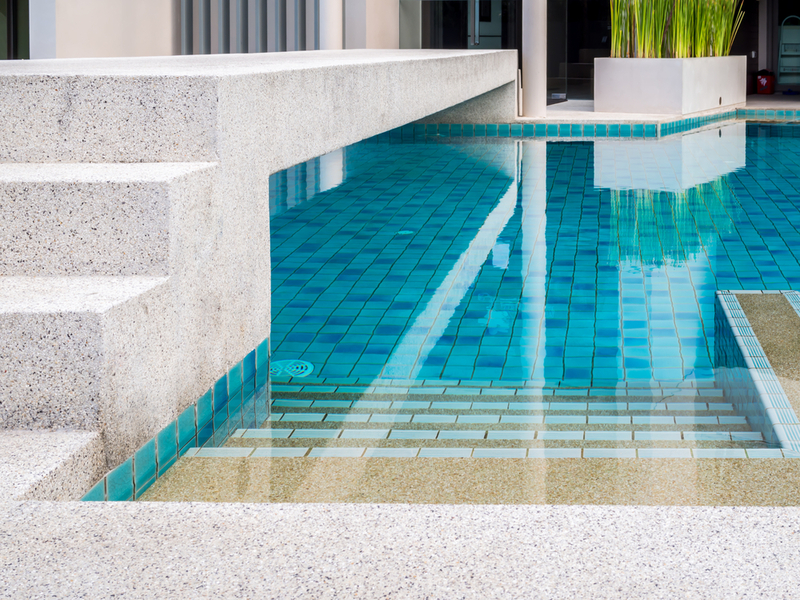 Take a look at some of the great options and look at which one is going to be your new favorite, and maybe the direction where your new pool is going to go. The ‘spout’ for this pool is definitely what makes it modern. The metal is one thing, but the fact that it appears to be filling the pool makes it super unique and a whole lot of fun at the same time. This pool has small sprays built right in and an infinity edge, but it’s also got chairs you can relax in that are right there in the middle of the pool. Who wouldn’t want to relax right here? 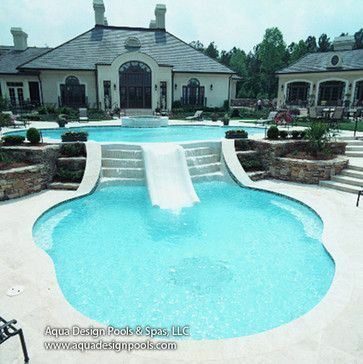 This pool is actually a double layer one and has stairs or a fun slide to get you from the top down. What could be less modern about this super awesome idea that’s also glamorous? 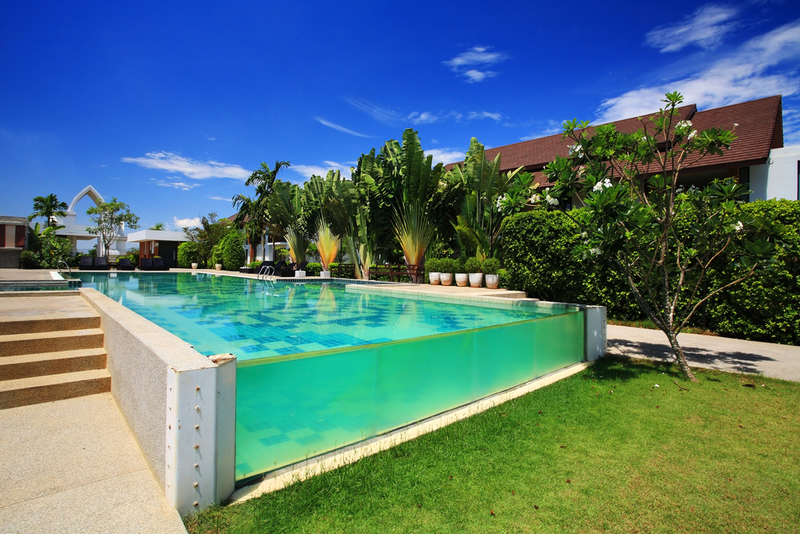 This huge pool has several sections and a modern shape to go along with it. What really makes it more modern still, however, is the infinity edge that goes right over the edge of a cliff. Here you have one of those cool, modern pools that seem super shallow but is a whole lot of fun. It’s got a couch right there in the middle of the pool and a stylish look that’s ultra elegant. Have you ever seen a pool that seems to just hold water in mid-air? Well that’s exactly what this pool seems to be doing with the glass side that makes it look really awesome in your backyard. 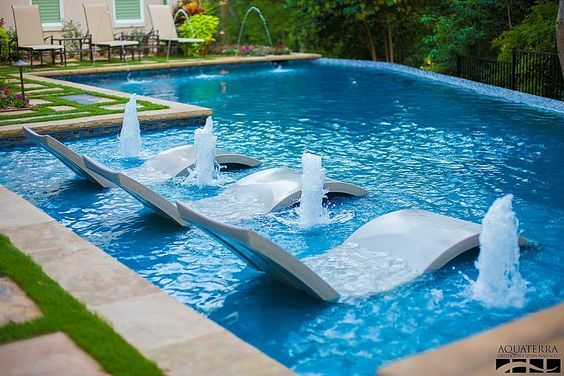 Who wouldn’t want a pool that has its very own bridge? This pool is something special and you’re going to have fun with this bridge whether you go over or under it. Here you have a slightly unique shape to a smaller pool but it’s the style that really sets it apart. You’re going to have a great time swimming in here. Here you’re going to have two swimming pools that are only slightly separated by a small ‘bridge’ but the pool itself is somewhat of a spa with the greenery and the arbor that goes over the top. This isn’t quite an infinity edge, but the fact that it ends right at the edge of a cliff is special in itself. It has a thicker edge and the building in the background lends an even more modern feel. 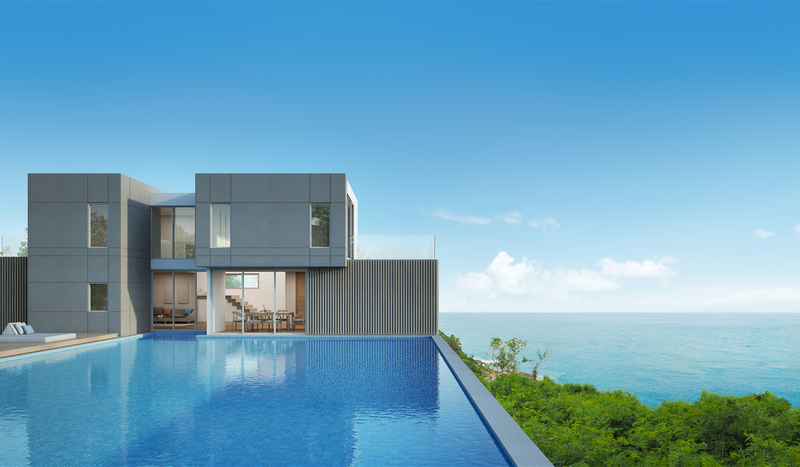 Here’s another infinity edge with a large pool that seems to almost blend into the horizon and the water below. 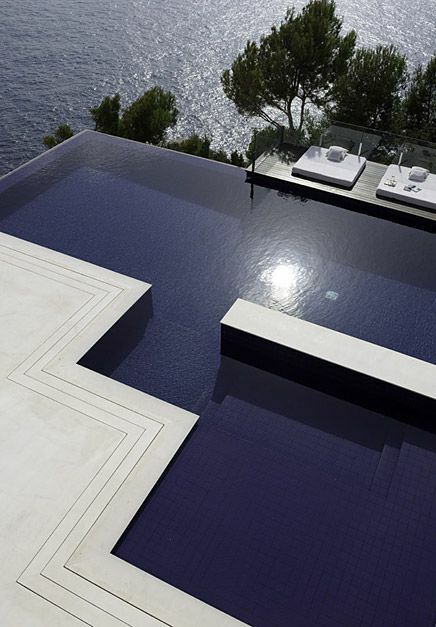 You’re definitely going to feel like you’re swimming right over the edge of the world with these type of modern pools. This building has everything you’re looking for when it comes to modern and the pool is definitely an accent for that. 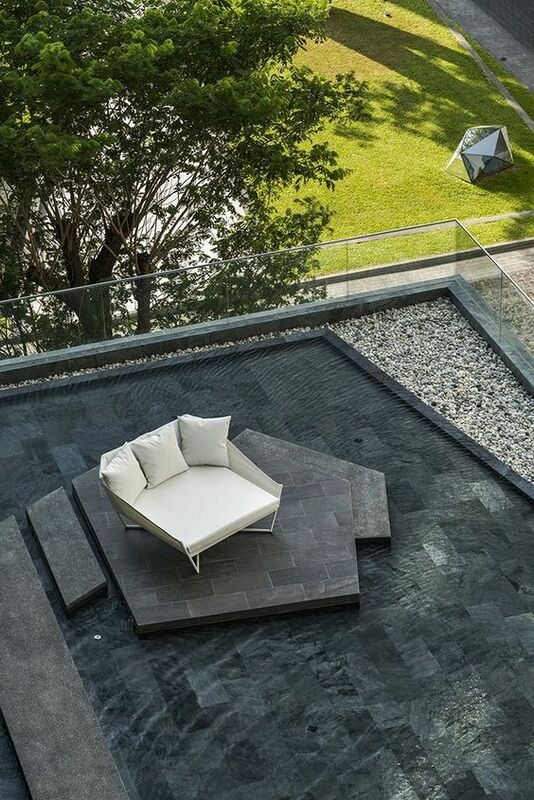 It has sharp edges that really draw the eye and just the right seats sitting there on the side. Here is something really unique and fun for your backyard. Make a unique shape for any pool and definitely have a little bit of swimming area and a lazy river style at the same time.